* Introducing the Lazer Line! * These brushes have shorter hair and a full belly. 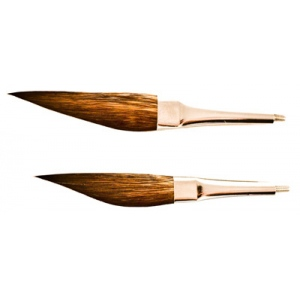 * They are excellent for fine straight lines and can hold a lot of paint. * These work well with the short handle. * Available from size 000 to size 6.